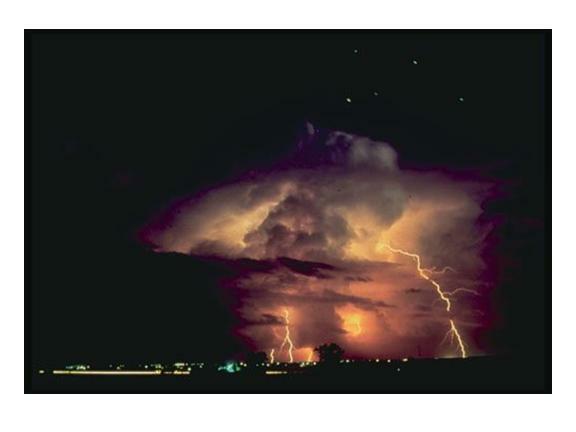 Heat lightning is a name given to a flash in the night sky that occurs when there is a lightning-producing thunderstorm very far away from the observer. Since the storm is often so far away that the lightning bolt itself isn't observed, and the thunder isn't heard, the flash in the sky has received a special name. "Heat" probably refers to the fact that this kind of display is often observed on a warm humid night, after daytime heating has triggered thunderstorms -- just not near the observer.